In order to maximize return on investment (ROI) on Internet marketing, companies must analyze their costs for Pay Per Click advertising. With the help from an experienced Internet Marketing agency, a company can see excellent returns from a PPC campaign, but this type of advertising needs to be carefully crafted for success. There are many important factors that arise when a company looks at the value of its PPC advertising campaign investment, there are two that rise to the top – budget and bid. Pay per click advertising is a great, instant method on how to get more traffic to your website, but it can also be very costly. For starters, a company must determine how much it is willing to invest on its PPC campaign. An SEO/PPC Consultant can provide solid SEO Web Design Tips for targeted keywords and ad planning to help develop a budget the company is comfortable with. However, the company must also determine what the value of a single click means for business. The value of a click can be estimated by beginning with the expected duration and value a customer has over a lifetime and then working analyzing the number of customers developed from leads. The number of leads generated from subscribers, and the number of subscribers generated per click, giving a maximum value to for a click. 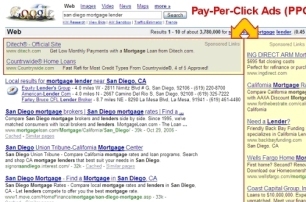 Companies investing in PPC also need to determine where to set their bids for PPC ads. One thing to keep in mind is that higher bids do not always mean higher ROI. It's an excellent practice to manage bids by on a keyword by keyword basis and to utilize tools like Google's bid simulator to figure out what the maximum and minimum bid should be. It's also critical to keep track of the quality of the selected keywords in order to get the most out of each PPC dollar. Pay Per Click campaigns can be a great way to convert clicks into customers, but managing the campaign's cost is critical to maximizing return on investment! Contact Webvolution Designs for more information on Atlanta Pay Per Click Management.